Posted on June 7, 2012 by Thomas D. Shults, Esq. 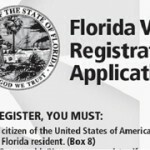 On June 6th, Florida Secretary of State (SOS) Ken Detzner responded to a letter from the United States Department of Justice (DOJ) which called into question the legality of efforts by Florida to remove non-citizens from voter rolls. The SOS letter included a chain of e-mails, which reflect attempts by Tallahassee begining in September 2011 to obtain access to the U.S. Department of Homeland Security (DHS) database of non-citizens. The SOS posed four questions in the letter to the DOJ, including whether the DHS has a legal obligation to provide access to the database, which is known as the Systematic Alien Verification for Entitlements (SAVE). Comments made by the DHS in the Federal Register, as well as in a DHS handbook on SAVE, say that the SAVE database can be used by states “. . . for any legal purpose such as background investigations and voter registration”. Questions remain concerning the background to this controversy. 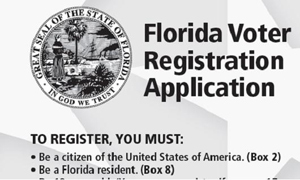 For instance, why didn’t Florida start the citizenship review process before September, 2011? Even under the best of circumstances the state may not have allowed enough time to complete the process given the time consuming procedures for removing anyone from the rolls and the mid-May, 2012, deadline to complete the process contained in the National Voter Registration Act. Also, why did the DHS not permit access to the SAVE database last September, and why has the DHS never in the over 8 months since last September responded with either a yes or no to Florida’s request to use the database? This entry was posted in Election contests, Florida Voting Issues, News, Voter challanges, Voter fraud, Voter registration and tagged florida election attorney, Florida election contest, Florida election controversy, Florida election disputes, Florida election fraud, Florida election law, Florida election lawsuit, florida election problems, Florida election suit, Florida right to vote, Florida vote challenges, florida voter purge, florida voter registration law, non-citizens vote florida, Thomas Shults, Tom Shults, voter registration. Bookmark the permalink.